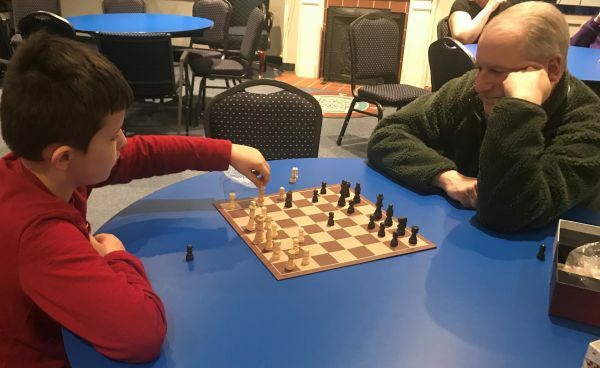 Adults and children of the parish enjoy game nights, hosted by the church women. All church families are welcome to join the fun on the last Friday of the month, starting at 6 p.m. A variety of games are offered by the parish but individuals are welcome to bring their favorite game. Games vary from simpler ones like Candyland to the more complex like chess. Check the parish calendar for the next game night date! Pictured: Fr. Joel playing chess with Graham Pezza.